The Clarke Historical Library is pleased to welcome you to the opening reception of Dow Chemical Portrayed, an exhibition of paintings by famed English artist Arthur Henry Knighton-Hammond. 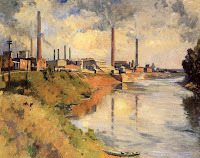 In 1920, Knighton-Hammond was commissioned to create renderings of the Dow Chemical Company plant in Midland, Michigan. The commission was fueled partially by company founder H.H. Dow's desire to enhance the company's public profile and thereby sales. The result is an invaluable artistic record of the company's early plant. This exhibit will be available for public viewing through June 26, 2013. 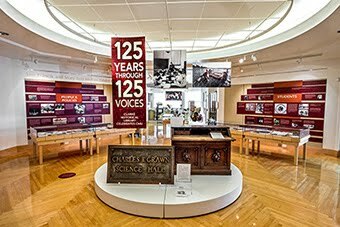 The Clarke appreciates the generosity of the Herbert H. and Grace A. Dow Foundation in making this exhibit possible.